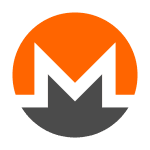 Monero (XMR) is a secure, private and untraceable cryptocurrency focused on being a truly anonymous digital currency. Monero, translating as ‘coin’ in Esperanto, is a minable coin that operates on a public ledger that obscures the sender, recipient, and volume of every transaction made. There has been some controversy surrounding Monero due to the fact that it is near impossible for authorities to track the movement of money. Monero operates on a reactive blockchain based on the past 100 blocks. As transaction volumes increase, block size increases. This system ensures that the more people using Monero, the cheaper the transfer fees will be. Monero makes privacy fundamental. With Bitcoin and the majority of cryptocurrencies, anyone can trace transactions through the blockchain and see the contents of a wallet. Monero ensures that wallets and transactions are fundamentally private and secure on the protocol level. If you wish to share transaction details or make your wallet visible to a third party, you can generate a read-only ‘view key.’ Monero is immutable unlike other privacy coins and completely trustless. No governing body or individual has control over the transaction privacy. Fungibility is another advantage to Monero; every coin is identical to one another. Bitcoin and many other cryptocurrencies can be traced back to where they were mined or released. If a Bitcoin is used in a criminal transaction, the risk is that an innocent individual is implicated by following the history of the coin on the blockchain. The community is currently developing the Kovri Project, which will obscure transactors IP address and enable added protection against network monitoring. Monero aims to act as a decentralised, immutable, private bank account. Peter Thiel has put forward an interesting question, “What's the opposite of transparency, is it criminality or is it privacy?” For better or for worse Monero facilitates financial independence from banks and governments. For more information regarding Monero visit the official webpage.